I have written about my Chinese New Year's Eve dinner every year on this blog for the past three years. This very important annual "reunion dinner" is where we all get together to celebrate the New Year ("we all" is really just my parents, my brother, my sis-in-law and my niece because I don't have any relatives here). The food we eat at Chinese New Year ("CNY") has traditional meanings related to CNY which helps to bring good luck, longevity and harmony for the upcoming year. For instance, dumplings play an important role in New Year food because of their shape which resembles the ancient Chinese gold or silver ingots. Some of us even avoid meat on the first day of CNY because each new year carries the name of an animal. While my parents are 100% Chinese I'm glad that they are far from being traditional (we be eating meat!) or superstitious (we be washing our hair on New Year's Day!) because in my opinion, most of those taboos are just plain ridiculous. When I think about it I realize we don't do much for CNY besides getting together and eating and giving out red envelopes (especially important for me LOL). When it comes to food we are not obsessed about what we must have for CNY dinner. My Mom will always make several key traditional dishes but she has no problem making - and the rest of us have no problem eating - food that has nothing to do with CNY. Just as long as there's food on the table, we're game. Like last year, aside from making her usual New Year's Eve dinner, my Mom made three different kinds of New Year puddings. My favourite this year is her turnip pudding which had tons of turnips, dried shrimps, Chinese sausage and Chinese bacon. The cakes were sliced into thick pieces, coated with whisked egg, pan-fried then served with congee for lunch on New Year's Day. 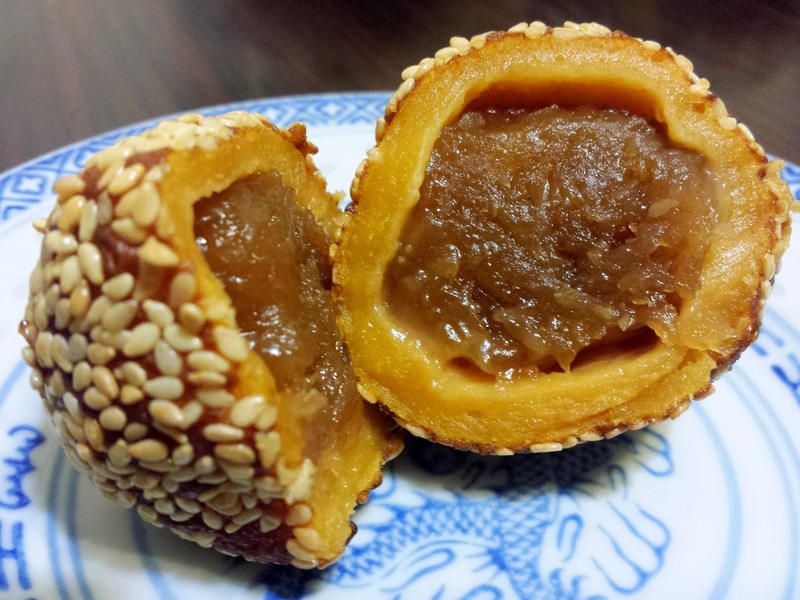 This year my Mom also made these deep fried glutinous rice balls (“煎堆”) with lotus seed paste filling (“蓮蓉”). 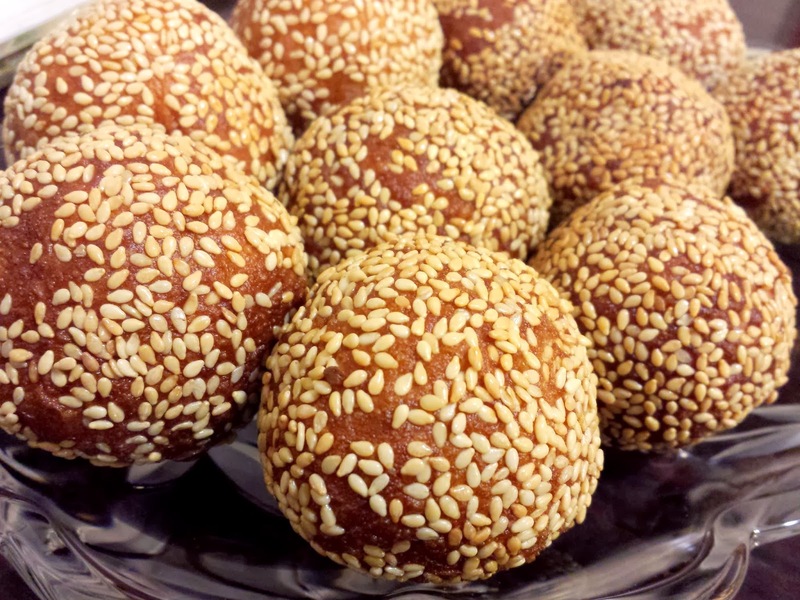 Made with glutinous rice flour and sweet potato, the dough is rolled into balls, wrapped with lotus seed paste, dredged in white sesame seeds then deep fried (these rice balls can also be filled with red bean paste). I was hooked on these after just one bite. For any special dinner my Mom would always make roasted pork belly ("燒肉") because it's one of my favourite dishes. Look at that skin...I guarantee that it is the crispiest piece of pork belly skin you'll ever have (not that you'll ever have a chance to have it muahahhaaa). A whole lot of love goes into it all this food that's for sure. All this wouldn't have been possible without my Mom's phenomenal cooking skills! 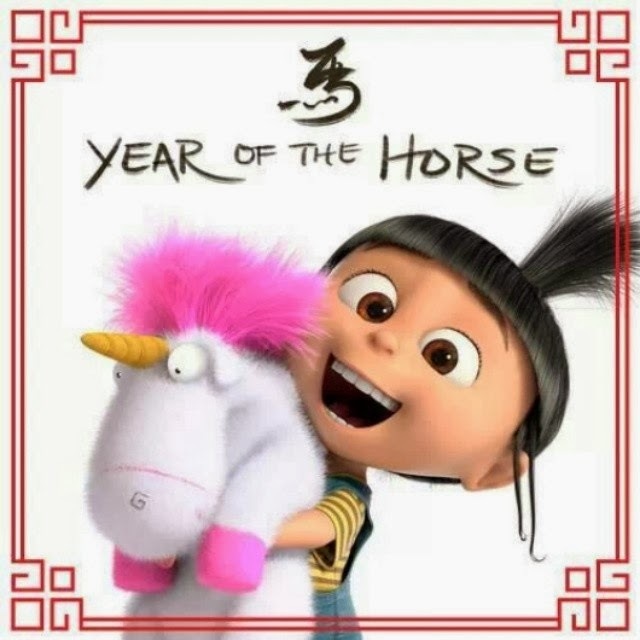 To my Chinese readers I hope y'all had an awesome Chinese New Year ("新年快樂") and I wish you all a prosperous Year of the Horse ("恭喜發財")! Summary: This should be a lucky year for dogs. Everything from work and investments to relationships are on the upswing. Relationships: Consider proposing if you haven't already, and if you are married, demonstrate more love toward your spouse. Be humble when interacting with others.